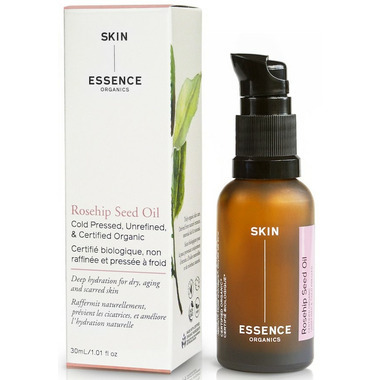 Skin Essence Organics Rosehip Seed Oil contains one of nature’s richest sources of essential fatty acids (Omega 3 & 6), vitamins and antioxidants. 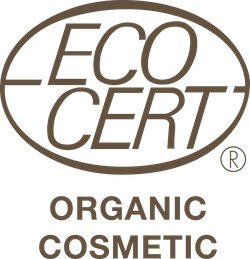 It can be used for naturally toning the skin, minimizing the appearance of wrinkles, preventing scarring, healing skin ti ssue & broken capillaries, reducing fine, rejuvenating skin cells and dramatically improving the skin's moisture levels, leaving the skin looking radiant and with a healthy glow. Rosehip Seed Oil also naturally contains Vitamin A, C & E, which delays the effects of skin aging, assists with cell regeneration, and stimulates collagen and elastin levels in the skin. This results in firmer, smoother, and more youthful skin tissue with improved elasticity. Beneficial for age spots, wrinkles and damaged skin. Application: Rosehip is a wonderful hydrator, and penetrates deep into dry or damaged skin. This oil may be used straight from the bottle as a moisturizer, but for optimal results and benefits, we recommend blending it with one of the Skin Essence facial moisturizers in a 50/50 ratio. Since it is such a gentle oil, rosehip is also an excellent choice for those with sensitive skin. I've been using this brand of rosehip oil for over two years and I absolutely love the quality. I use it as an eye makeup remover. I just dab a bit on my eyelid and remove the excess with a lightly moistened cotton ball or pad. I really like this product: I have sensitive, combination, acne-prone skin that has become even more reactive since becoming pregnant. Using rosehip seed oil has prevented capillary damage and over-dryness during the winter months. I also have old acne scars which this antioxidant-rich oil has helped heal. Only downside is that I found that this brand is a bit thicker/greasier than other cold-pressed, organic rosehip seed oil; I've found other brands tends to absorb quicker, leaving less of a residue. This is still good though! My skin texture has improved since using this product. My skin is softer and glowing. It absorbs nicely and does not leave my face greasy. I always apply a sunscreen afterwards. Lovely. Worth the price. And pairs well with Skin Essence's Nourish oil. I love this product. It makes my skin feel hydrated. Although I found this product to be quite expensive, it makes a difference when added to my nighttime routine. My skin looks so nice after using it. I tried this on a whim and very happy I can use it as a daily moisturizer because I wasn't finding anything else that I liked for a reasonable price. Works well for me under make up but I do have dry skin so that might be a factor to consider. The only thing I don't love is it does have a bit of a fishy smell - it's not strong though and goes away quickly after applying. Out of the 3 brands I've tried, this one is the best. I'm using this along with coconut oil to conquer stretch marks on my pregnant belly. So far so good, but I'll have a better idea post pregnancy. The most amazing product for sensitive/dry/acne prone skin. Whenever my skin is overwhelmed with harsh weather conditions or variety of products - I use just this oil and it balances it out! I bought this product to even out my complexion and I LOVED it so much after my first bottle that I re-ordered 2 more! At half the price of a similar organic rosehip oil at Whole Foods, itâ€™s a steal. Great at keeping my skin moisturized without being greasy. 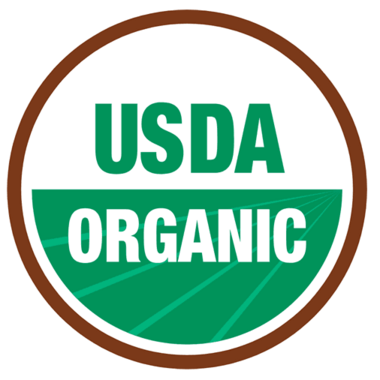 I like the fact that it is pure and organic, very important factors to me. A little goes a long way, feels great on my face. A nice oil to add to my homemade face serum. Great oil for a face moisturizer at night. I wouldnâ€™t wear during the day under makeup since I find it doesnâ€™t absorb as much as a bit of coconut oil. Iâ€™ve added essential oils to mine as an anti aging moisturizer and I love it. It may be making me break out though, so Iâ€™m starting to just use it around my eyes, neck and chest. So keep that in mind, Iâ€™ve heard itâ€™s not good for acne but Iâ€™ll keep it for my fine lines. This is a product I would suggest to anyone that wants to have glowing healthy skin. I suggest it to all my friends and this particular rosehip from Skin Essence is by far the best one I have used. I love mixing it with the Nourish moisturizer Skin Essence sells and apply it morning and night. It works great under make up too!! I have been buying this product for a year or so now and just love how nourishing and pure it is for my face. I use this product twice a day and my skin has never looked better! Itâ€™s nice oil, but doesnâ€™t stand out against others Iâ€™ve tried. It does absorb decently but the dispenser pump is hard to control, and to only dispense a small drop at a time is difficult. I bought this to help with some scars I have, but it unfortunately didn't help too much. It also broke me out when applied to my face. However, I love to use this around my eyes; it absorbs really fast and helps to moisturize that delicate area. A little goes a long way too. I purchased this oil for it's fast absorption, and because rosehip oil is great for dry or mature skin. I apply twice per day; once in the morning before I apply makeup, and after I wash my face in the evening. I add four drops of thereputic grade essential oils with two pumps of rosehip oil. I will purchase this item again. Love this product. Unlike other oils, it absorbs quickly and feels very light. Repurchased this product after trying other brands' rosehip oil. I like it that it is cold pressed, unrefind and organic. Also, the packaging IMO is the best as it's in a pump bottle, which limits the oil contact with the air. It has an earthy scent that is not overwhelming at all. I use it together with my other face oil in the morning before makeup and at night after cleansing. I have combination skin and find that this oil does not break me out, and also helps with the dry patches. Nice texture and smell. Works well mixed together with the E-creme. My skin feels nourished. Great product! Will definitely be a staple in my skin care from now on. I have noticed a significant improvement in the redness on my cheeks. Great for getting rid of dryness and redness. I have acne prone skin and it doesn't break me out. However, I would be more cautious about using it on active spots. Helps somewhat with hyperpigmentation. I like to keep it refrigerated. Soothing and great for the skin! Love the Skin Essence skincare line. Skin is very soft with use and rosehip oil has many benefits. I use this oil on my face and beck morning and night before I moisturizer. It makes my skin feel softer. Excellent. My go-to facial moisturizer for Winter. Love the product. I mix it with other face oil as my morning and evening moisturizers. Love this oil, I use it at night as it is a just a tad oily and wouldn't want to apply makeup on top. Notice my skin is not nearly as dry or flaky. Very happy with this oil. Will be a staple in my beauty box! I've been using this for a few weeks now and while I can't say that I notice a difference in how my skin looks I do notice that it doesn't feel as dry. I usually only use this at night (it does make me look greasy) and my skin drinks it right up. Love this Rosehip oil. Excellent for sensitive adult skin and keeps acne away. I use it in the morning and at night and makes my skin feel and look great! Highly recommend! it is a great moisturizer especially for dry skin that tends to breakout. I will admit I was sceptical but pleasantly surprised with the results. My skin is extremely sensitive and does not tolerate most products or change but I had not negative reactions to this at all. This rosehip seed oil does not leave your face oily, it is a fabulous moisturizer, skin tone was healthy looking and acne almost gone after only a few uses. After 2.5 months of daily applications, I have not noticed a difference in wrinkles or scarring, however, I will continue to use this and highly recommend this product. Great product. Easy to dispense - one pump is all you need for your face and neck. I mix it with 2 drops of grapeseed oil. Love love love this facial oil. Improved acne and skin tone dramatically. First time using a face oil and so far I love it! This one is non greasy and moisturize my skin like nothing else I've ever used. As other said, the smell is not very pleasant, but it's really subtle anyway. I've been using this only for two weeks and I'm already seeing some of my scars left by spots fading. Really happy with this purchase and would definitely recommend! This a a great non greasy moisturizer. I've used it on its own at night and under makeup. Love it! A great light face oil, perfect for my dry sensitive skin, I will use it year-round. I was using argan oil before (which is great as well), but I really love this one. Love this product. Excellent under make up.. Awesome Product ! I have tried other brands of rosehip oil but they can't compare to fading my dark age spots on my face and hands.